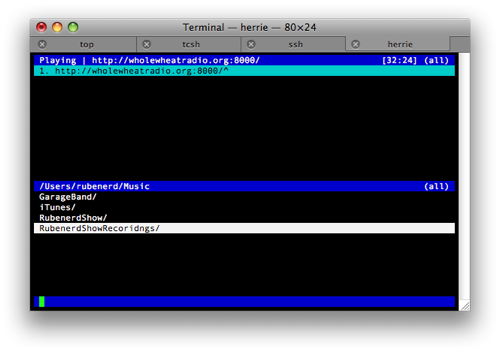 Just finished polishing up the Herrie media player page on the Whole Wheat Radio wiki. Over time I've being going through each media player and adding instructions with screenshots so hopefully any new person who has never tuned in before can get up and running easily. Add it to your playlist by pressing "A"
Change focus to your playlist by pressing "Tab" then press "X" to start playing! Newer post ← Twittering with South Australian Premier Mike Rann! Older post → Why do spammers spam?